Before we can start to use an EQ, we first must have some basic understanding of frequency and harmonics. Frequency is how many times the wave vibrates back and forth per second. The image below shows a time of 1 second. The sound oscillates 100 times in one second. This means the frequency is 100Hz. So, what is a harmonic you ask? A harmonic, or harmonic series, is part of what gives an instrument its unique sound. It comes down to basic math. So let’s say that the first harmonic is 100Hz. The octave of 100Hz is 200Hz. The octave of 200Hz is 400Hz. 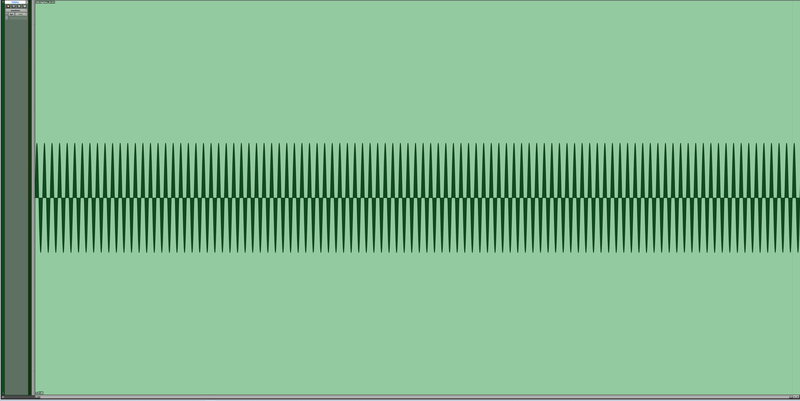 This math shows that octaves are a doubling of frequency. The image below shows 1 cycle at 100Hz and 2 cycles at 200Hz. Note that 100Hz only oscillates once while the 200Hz tone oscillates twice. Now let’s break it down a little bit more. Again, let’s say that the first harmonic is 100Hz. The second harmonic is 200Hz, the 3rd harmonic is 300Hz, the fourth harmonic is 400Hz, the 5th harmonic is 500Hz, and so on. A harmonic is always the fundamental frequency added to itself. In this case, since the fundamental frequency is 100Hz, we know that the second harmonic will be 200Hz, the 3rd harmonic will be 300Hz, the 4th harmonic will be 400Hz, and the 5th harmonic will be 500Hz. This would be a very basic sound, but it should give you an idea of what a harmonic is in terms of math. 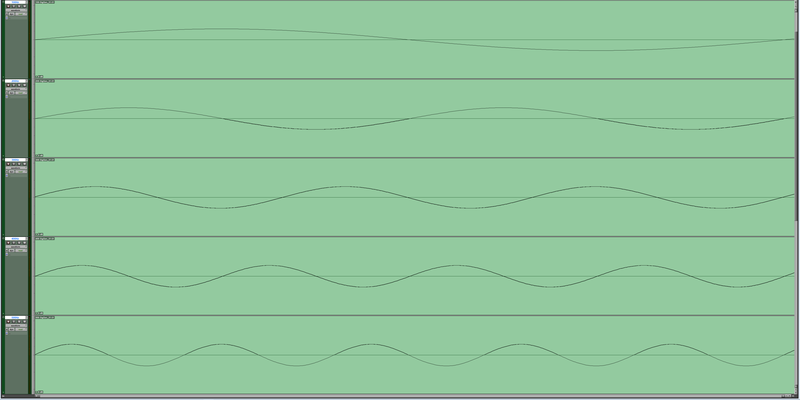 The image below shows 1 cycle at 100Hz, 2 Cycles at 200Hz, 3 Cycles at 300Hz, 4 Cycles at 400Hz, and 5 cycles at 500Hz. This is usually where EQ tutorials stop. They teach you the math but not the practicality of how to put it to use. Before we can put this to use we first have to have an example of how we hear. I like to use an organ to show this. 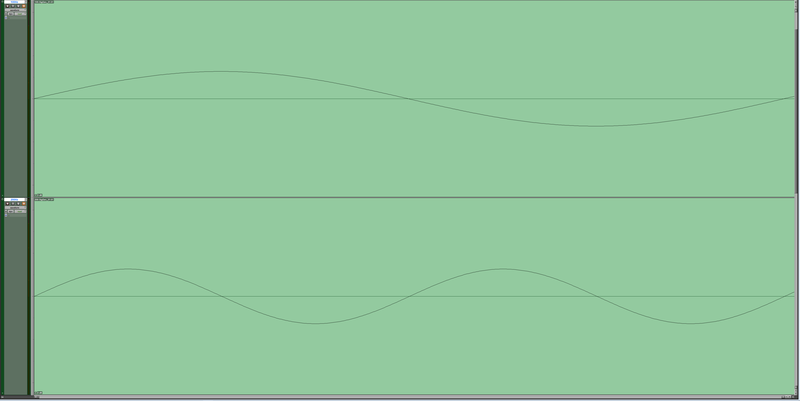 Stay tuned for part two of this series where we learn how to hear harmonics using an EQ.